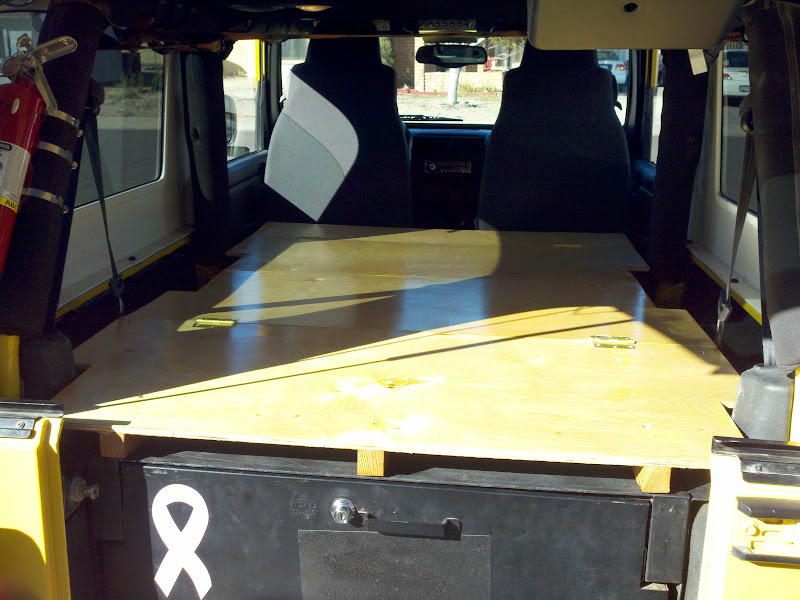 I ran across an article of someone that built a platform that would lay on the floor of his Jeep and go all the way to the front dash on the passengers side. 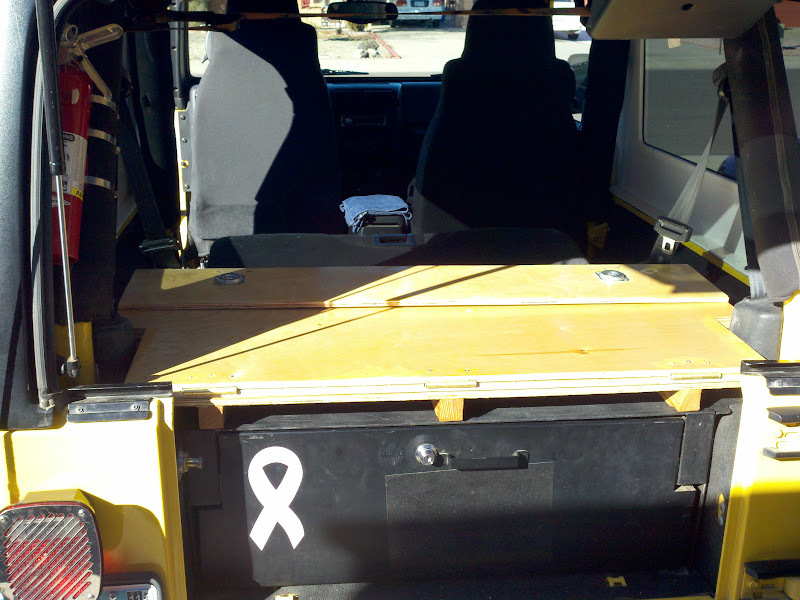 (He had to remove the passengers seat and the back seat to make this work). 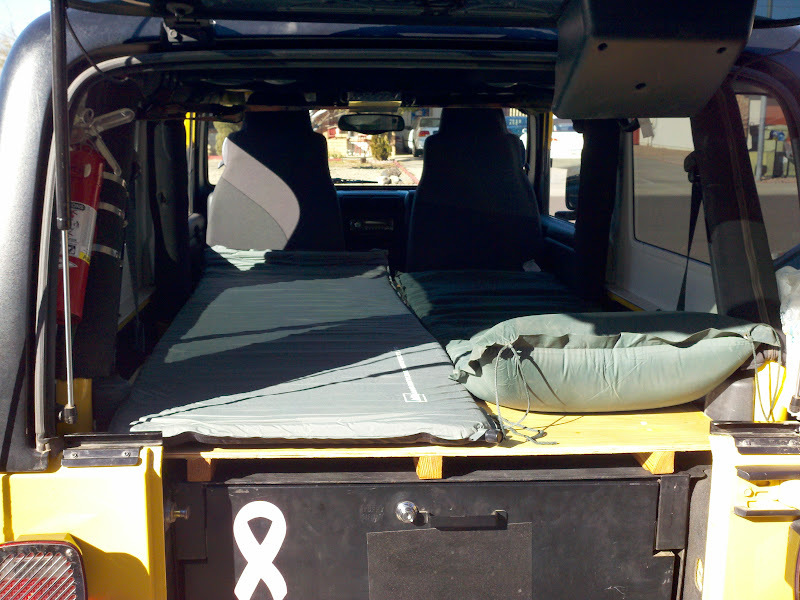 because I have an LJ, I started to think, is my LJ long enough to make this happen without removing any of the seats? After some careful measuring, and remeasuring, I decided it was very doable. One advantage I have is that I'm 5'10". If you want to accomplish this and you are over 6' tall, it might be a little cramped. 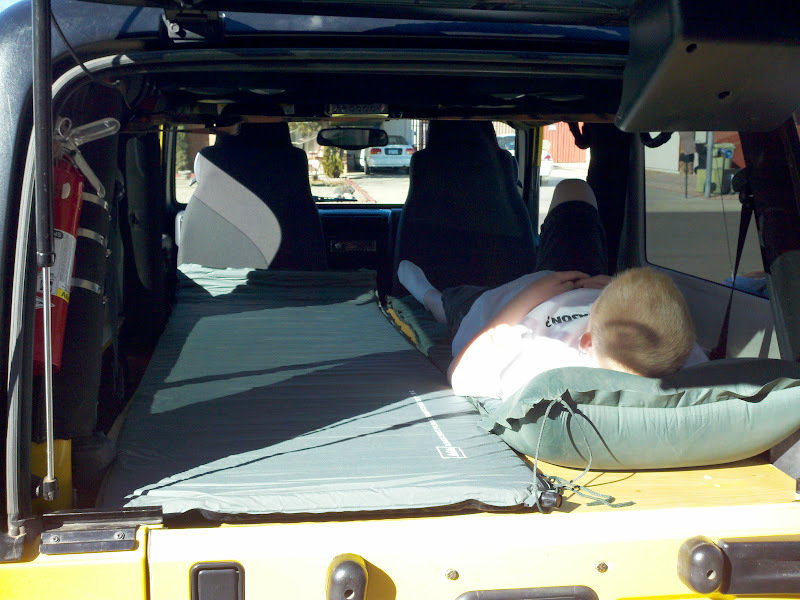 I started by figuring out that I wanted this sleeping area to fold up when not in use. (Easily achievable with hinges.) 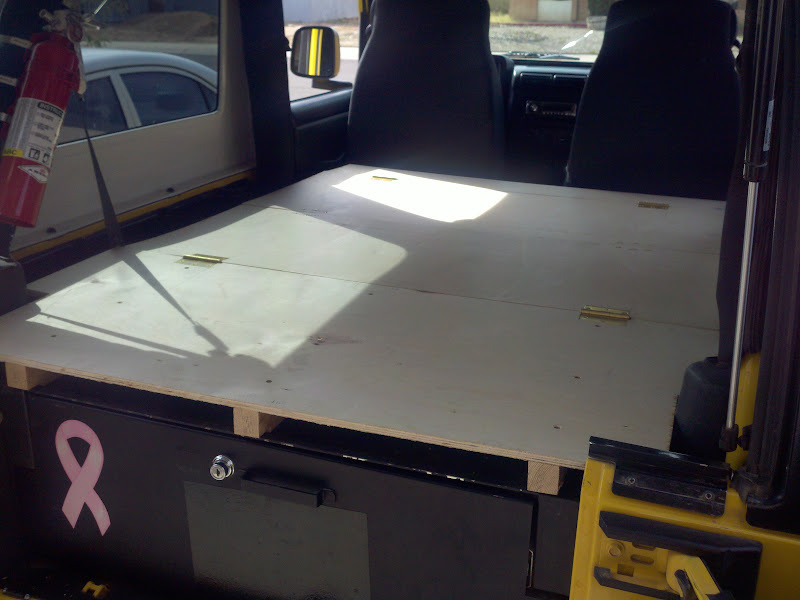 I also have a Tuffy slide-out tool drawer in the back that is ~20" from front to back. The total length of this platform is 68", so I can accomplish what I need in four sections. Three 20" sections, and one 8" section. 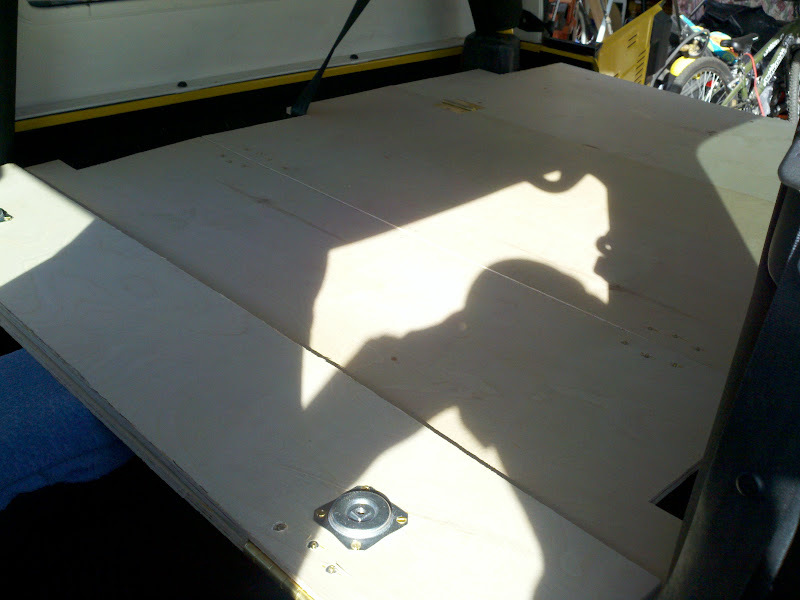 Conveniently, the ridge of the back seat when folded down is 20" in front of the tuffy toolbox (right where I would need support for the one of the hinged areas). 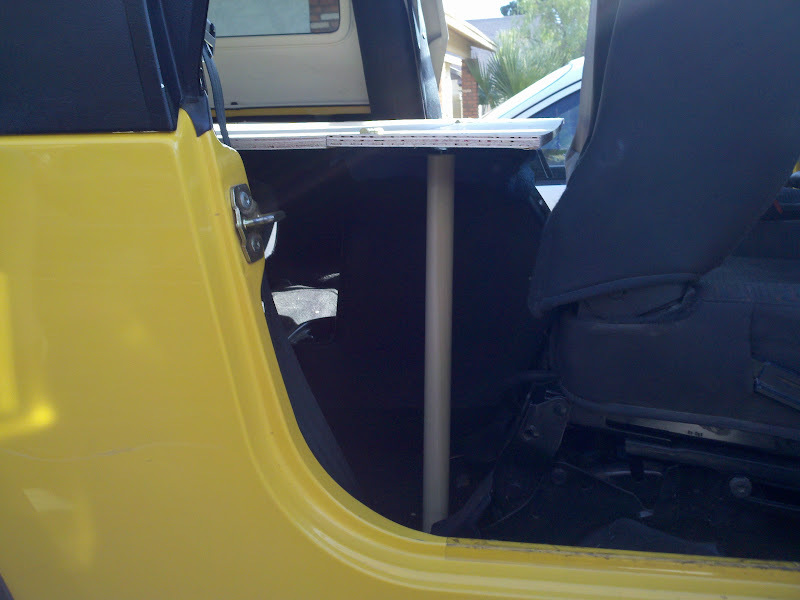 Also, the center console would provide support for the front hinged area, but only in the center. 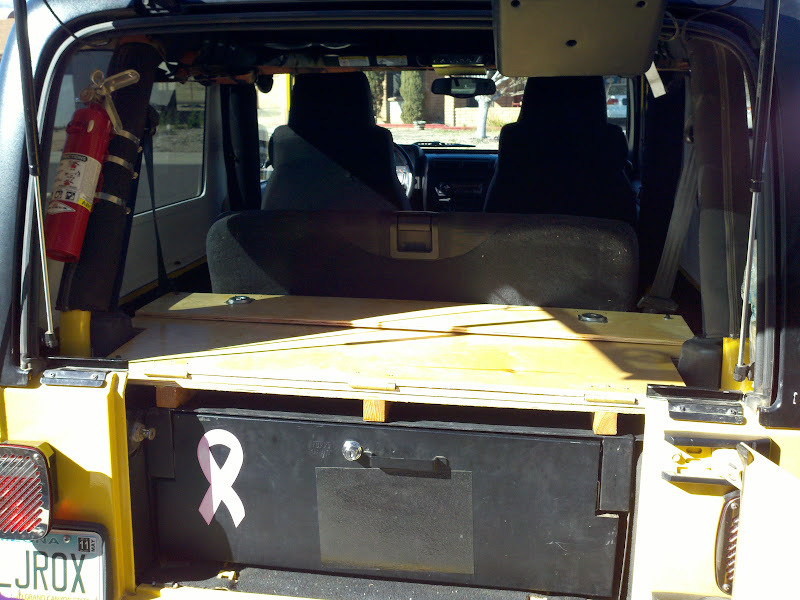 The height of the senter console and the ridge of the back seat were the same, but the top of the toolbox was about 2" lower. 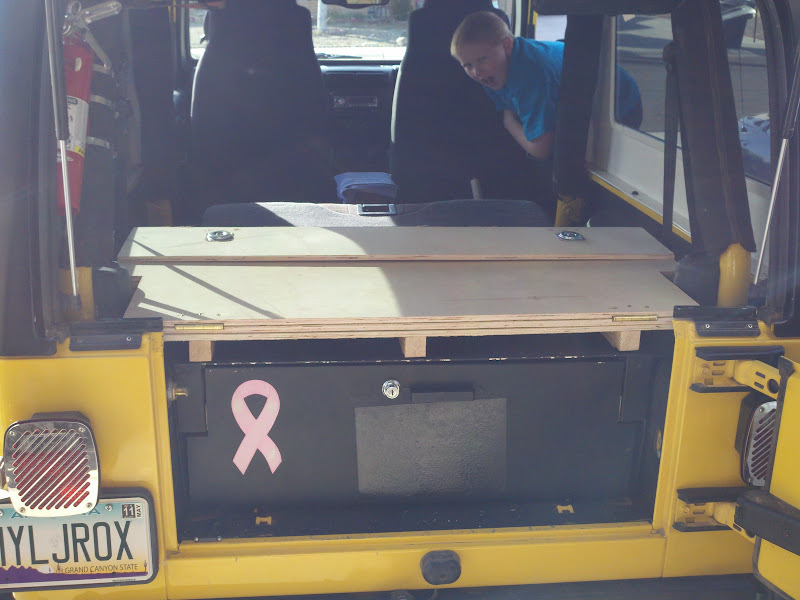 I could recitfy this problem by putting 2" pieces under the rear section to raise it and make it all "mostly" level. My next step was to figure out what material to use. I looked into using some particle board, or some cheap plywood, but finally decided to spend a little extra money and go with a nice 1/2" birch plywood. 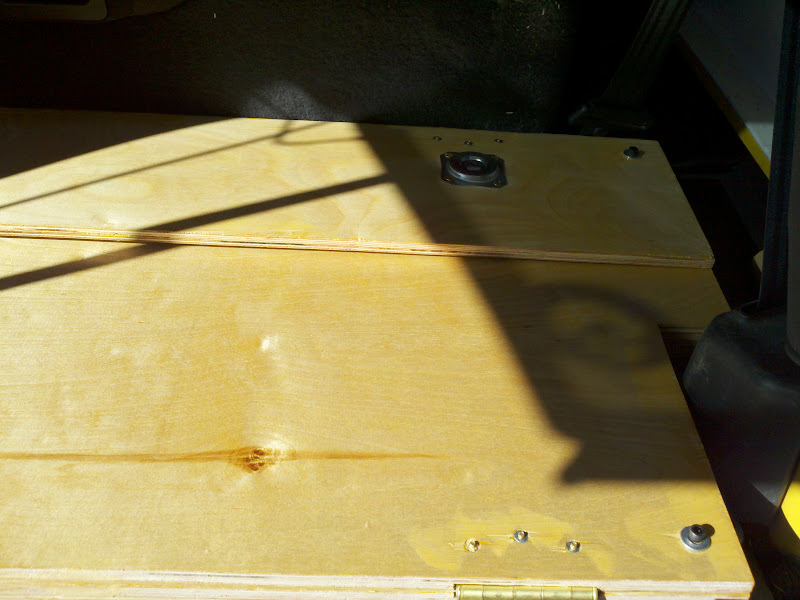 I thought it would look nicer once finished with stain, and a polyurethane coating. To support the front corners of the platform, I decided to use 1&1/2" dowels with table leg hanger bolts to make them easily removable. 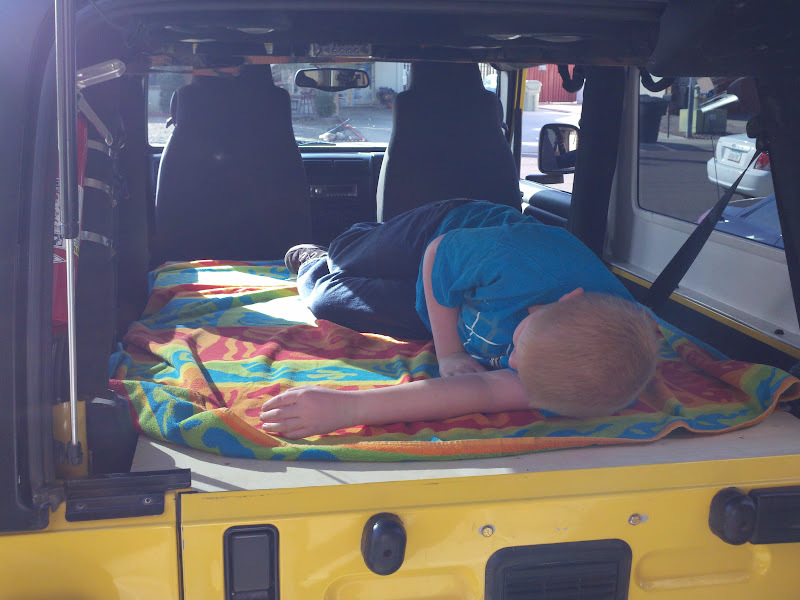 With the hardtop on and closed up, there is a nice amount of room for me and my son to sleep. I can't wait to get it completely finished and go test it out on the trail. This is where the front legs screw in. Underneath the front with the legs attached. My son testing it out. Cool! Good to see this, as I could probably think of maybe doing this too! It would be nice to sleep inside sometimes. Last edited by Ladybug; 02-08-2011 at 07:39 PM. Thanks. I'll post up more pics when it's all finished. I can't wait to test it out overnight sometime in the next few weeks. All done! Here are the final pictures. Can't wait to try it out. From tailgate to front seat it's about 72 inches.